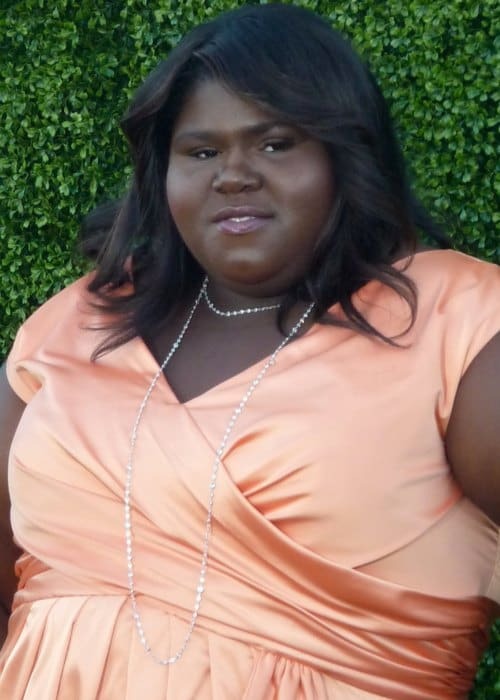 Gabourey Sidibe is an American actress who is best known for portraying the award-winning titular character Claireece “Precious” Jones in Precious (2009). She is also noted for her appearances in Empire, American Horror Story, and The Big C (2010-2013). 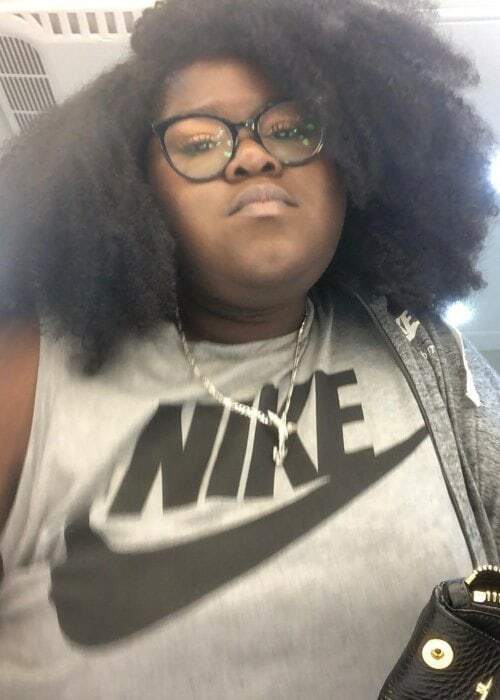 Gabourey has amassed a huge fan base with more than 2 million followers on Instagram and more than 600k followers on Twitter. Gabourey graduated from the Borough of Manhattan Community College with an associates degree. She also attended The City College of New York. Later, she started pursuing a degree in psychology from Mercy College, but in 2009, she quit after getting a phone call from her friend to audition for a role in Precious. 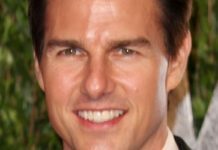 Gabourey is dating a man who she refers to as her “Tom Cruise“. The couple has been spotted together by paparazzi on more than one occasion. She has Senegalese ancestry on her father’s side and African-American ancestry on her mother’s side. Gabourey was born into a Muslim family. By the age of 19, she was a devoted follower of Christianity. But, later on, she stopped following any religion. Gabourey made her theatrical film debut as Claireece “Precious” Jones in the drama based movie Precious in 2009. She made her first TV show appearance on the news, talk-show Entertainment Tonight in 2008. As a voice actress, she made her TV show debut as Keisha in Glenn Martin, DDS in 2011. After undergoing laparoscopic bariatric surgery in May 2016, Gabourey’s workout regime and diet consisted of a liquid diet for the initial 17 days. After successfully completing the prescribed number of days, she began sticking to a daily 5 meal plan, however, they are smaller meals. She also prefers to cook her food and make sure to keep track of what she is eating and consults a nutritionist on a regular basis. Gabourey has a personal trainer whom she trains with 3 to 4 times per week. On the days she’s not training, she does 20 laps of swimming before having the first meal of the day. 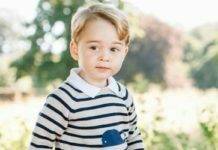 She also prefers to ride her tricycle when she’s at home or on set which is an excellent way to have fun as well as burn calories. She was born in Brooklyn but brought up in Harlem by her mother. Gabourey was 12 years old when her mother and father parted ways. She spent most of her time growing up with her aunt Dorothy Pitman Hughes. As a child, she went through a tough time as she was bullied at home and even at school. Her mother Alice Tan Ridley is an American R&B and gospel singer who competed in America’s Got Talent in 2010. In the past, she used to perform on the streets and subways to collect enough money to feed her daughter and herself. During recess, Gabourey often used to sing for a penny or two. Growing up, her father who was a cab driver would often body shame her with words like “fatso” and beat her. She was 6 years old when she went on her first diet. During her teenage years, she obtained her inspiration from a picture that had her aunt Dorothy Pitman-Hughes and journalist Gloria Steinem standing strong together. In order to pursue her degree in phycology at Mercy College, she worked part-time as a receptionist. Gabourey started to pursue her passion in psychology at the age of 10 by reading books and learning therapy techniques. In 2017, Gabourey told the public that she was diagnosed with a symptom known as Type 2 diabetes and that she underwent laparoscopic bariatric surgery to help reduce her weight. On May 1, 2017, she released her book titled This Is Just My Face: Try Not to Stare. During her schooling days, she took part in several plays but did not seem to like acting. Ever since her teenage years, Gabourey has been a big fan of the boy band *NSYNC and has been to more than a dozen concerts. She is one of 10 African-American women to be nominated for an Oscar award in the “Best Actress” category. Gabourey votes in favor of the Democratic-Republican Party. Her obsession with being overweight was affecting her lifestyle and the way she started to feel about herself. At the age of 21, she started working as a phone s*x telecaller. She worked there for 3 consecutive years. In the past, RJ Howard Stern insulted her by saying, “There’s the most enormous, fat black chick I’ve ever seen. She is enormous. Everyone’s pretending she’s a part of show business and she’s never going to be in another movie”. Her first name “Gabourey” in Senegalese means beautiful cheeks. She can roll her tongue and flip it upside down. As a child, she spoke Wolof and French. Until she was 13, she did not like the name Gabby. 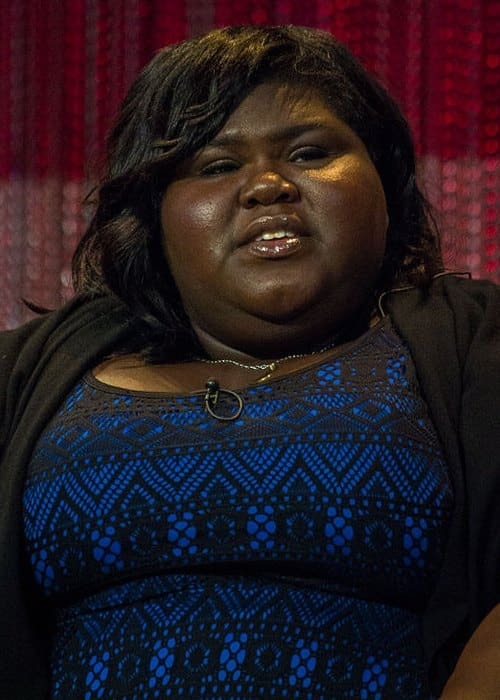 Gabourey feel’s enlightened when she curses. At the age of 16, she found it difficult to fall asleep without listening to the *NSYNC’s Sailing. She once paid $30 for a frame that had Dan Castellaneta and Homer Simpson’s signature on it. Gabourey believes that she is psychic. However, her friends believe that she’s a psycho. Her middle name MaLingair translates to Queen in one of Senegal’s native languages, Wolof. She has an adopted cat named Aaron.